“Looking at this photo, you can just feel the business’ culture!” one juror exclaimed about the Cards Against Humanity offices. The space hosts its namesake company, Cards Against Humanity — the knockout card game that asks players to call upon their darkest humors to formulate clever mad-lib statements in a style akin to Apples to Apples. 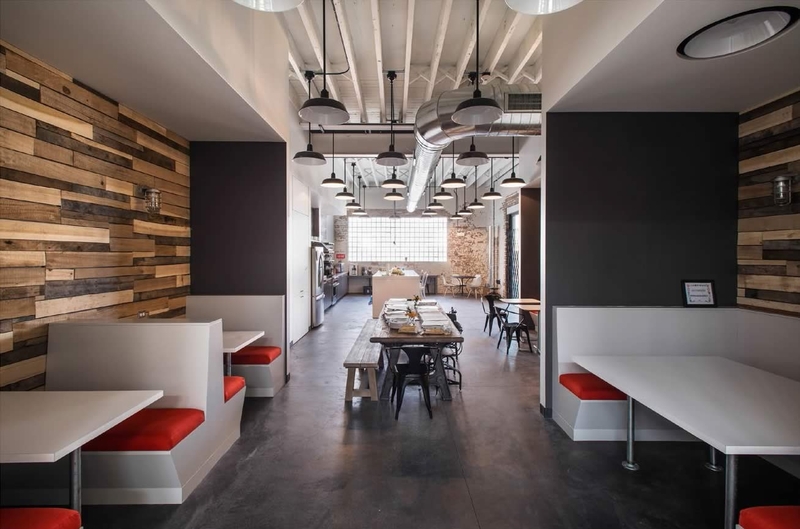 Their space, however, calls upon a similar use of clever, quirky elements to produce a bright, open and flexible workspaces that host more than just the Cards employees; it also functions as a co-working space for graphic designers, photographers and other members of Chicago’s vibrant creative community. The eight founders of the card game Cards Against Humanity see social connections and the cross-pollination of ideas as crucial aspects of creative culture. 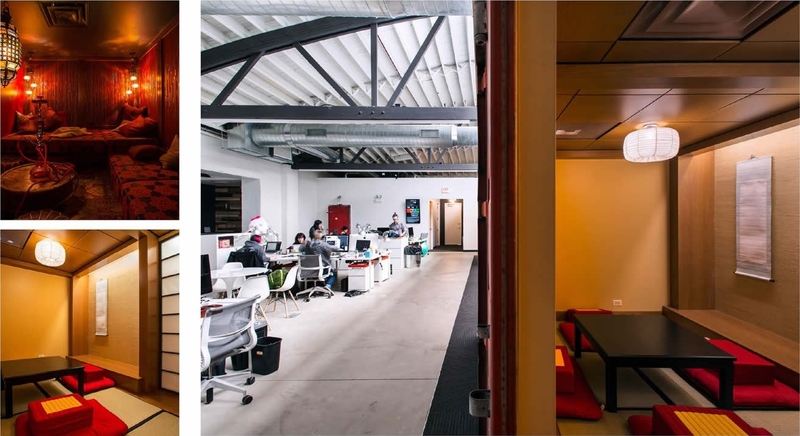 They envision the work-share office typology as an opportunity to bring together graphic designers, artists, photographers and writers into a creative co-working space that encourages collaboration.